Color and learn! Welcome to your familyall the wonderful inhabitants of Planet Earth. We share something very special with every human being, animal, plant, and microscopic creature. What do we share with all living things? We are all GENE MACHINES! From the acclaimed creative partnership of scientist/author Fran Balkwill and illustrator Mic Rolph, the Enjoy Your Cells Color and Learn Series is an entertaining, one-of-a-kind learning experience that you help to create. Each coloring book incorporates all of the original text and artwork from the best-selling Enjoy Your Cells series, now in a delightfully enlarged format suitable for coloring book fans of all ages. The pages are brimming with dozens of drawings of cells, proteins, and DNA, accompanied by easy-to-understand but scientifically accurate commentary. 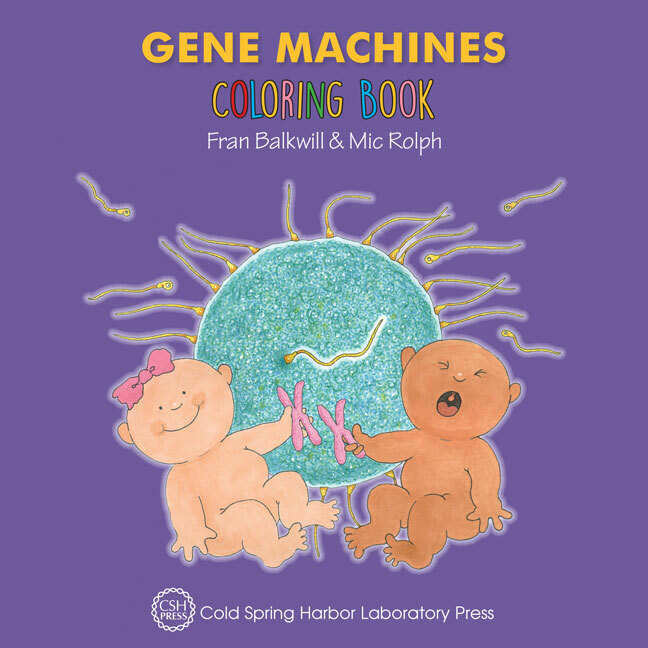 Proceeds from the books help to support research and education at the world-renowned Cold Spring Harbor Laboratory. With exuberant graphics ranging from simple to intricate, these books are sure to bring hours of educational enjoyment to budding and experienced scientists alike!